When clicked, press releases will download as word documents. "Won't You Be My Neighbor". Photo Courtesy of Focus Features. "RBG". Photo Courtesy of Magnolia Pictures. Daveed Diggs and Rafael Casal star in "Blindspotting". Photo Courtesy of Lionsgate Pictures. John Cho stars in "Searching". Photo Courtesy of Screen Gems. Natalie Portman narrates the documentary "Eating Animals". Photo Courtesy of IFC Films. Saoirse Ronan stars in "On Chesil Beach". Photo Courtesy of Bleeker Street Media. The International Horror and Sci-Fi Film Festival will present the world premier of "Cynthia". See the special 25th Anniversary Screening of ‘Jurassic Park’ at the Phoenix Film Festival. Photo Courtesy of Universal Pictures. Blake Cooper and Donald Sutherland star in "Measure of a Man". Photo Courtesy of Glass Half Full Media. The International Horror and Sci-Fi Film Festival presents "The Ranger". The International Horror and Sci-Fi Film Festival presents "To Hell and Back: The Kane Hodder Story"
"Tully". Photo Courtesy of Focus Features. Go behind the tour with Phoenix-area band KONGOS in "Bus Call". Photo Courtesy of KONGOS. The 2018 Peoria Film Fest presented by the City of Peoria is being held October 19-21, 2018 at the Harkins Theatres Arrowhead Fountains 18. 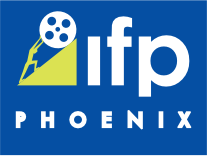 Grab some delicious food at the Phoenix Film Festival's Opening Night Premiere Event!